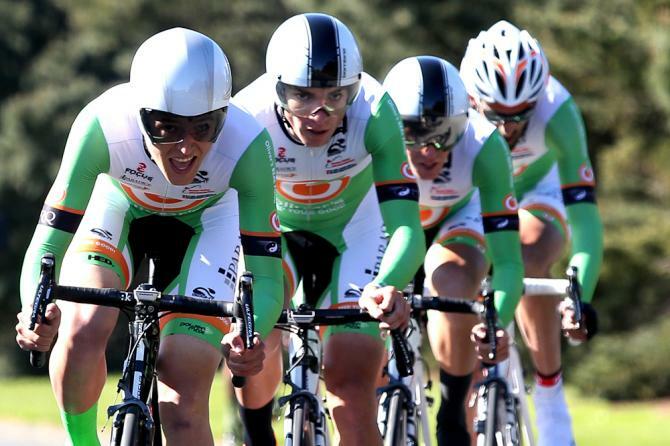 The 2015 Tour of Southland, New Zealand, kicked off on Sunday, 1 November in Invercargill. We’ll follow the 7 stages as the peloton traverses this magnificent landscape, experiencing it first hand through the eyes (and legs) of one of our coaching team – Benji Marshall. Benji races for Australian based National Road Series team, Oliver’s Real Food Racing Team. “Going into the TTT we knew that we didn’t have the team with the biggest horsepower so it was going to require a really smooth ride by us to finish at the pointy end of the field. We chose to sacrifice one of our riders for the first 1/3 of the loop, and hope that he was able to last even a little longer in the best case scenario. Below is a quick data summary of the prologue from today for the sacrificed rider, where he lasted until the final km before gradually falling off the back of the team – power = maroon line; you can see his best 1 minute power was right at the beginning of the stage, as the coach had requested. We came finished in a time of 5 min, 11 sec which put us placed mid-pack, 20 seconds down on the winners of the stage, Avanti Racing Team who are fighting to win the back-to-back Tour of Southland. Today’s stage (Monday, 2 November) is the first big day of racing, being 158.9 km in length from Invercargill to Lumsden across some rolling terrain. The wind is meant to be up, and the peloton is fresh so no doubt will be an attacking day of racing ahead. To add to this there are 15 intermediate sprints and 5 KOM’s so there is plenty on offer for those willing to try their luck at establishing a break away!